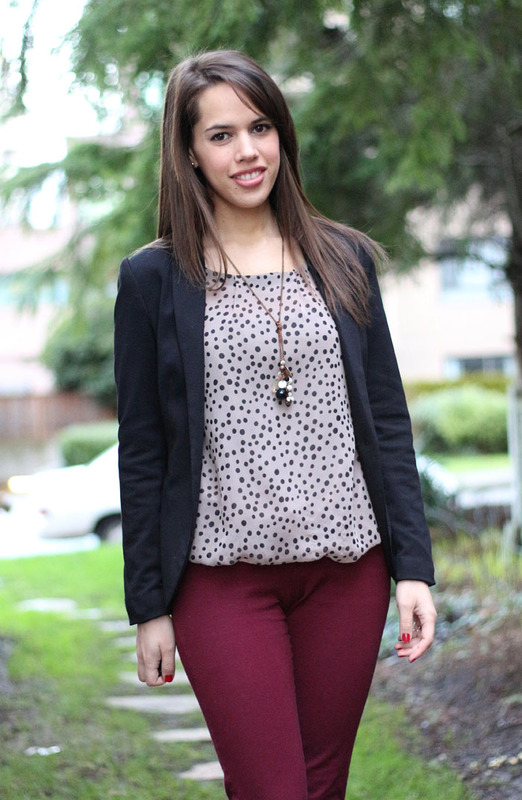 I can't stop wearing burgundy and black together (see here & here)! They are such great winter colours, without being too dark or depressing. 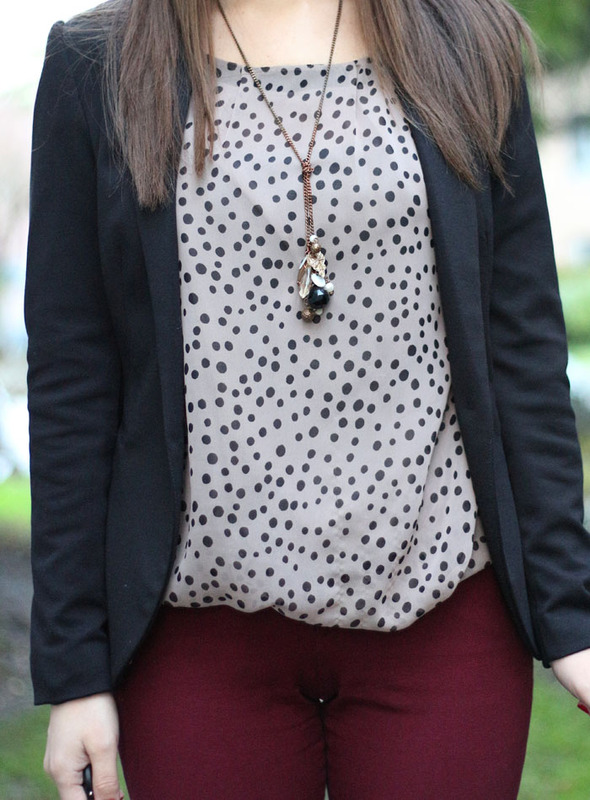 Breaking up the darker tones with a neutral blouse in a fun print is always a good idea - this one is an old Forever 21 purchase with a weird elastic bubble hem that needs to be pulled down constantly, however I still like it!